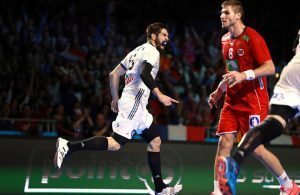 Nikola Karabatic’s buzzer-beater in the bronze medal match against France 26:25, gave a lot of reasons for joy to the French handball fans. The most successful handball nation won another medal in a row at big events (the fourth since Olympic Games in Rio), while the 34-years old “handball king” won his 15th in the 16 years long career in the national team. Find out an impressive list of medals and individual prizes with the national team. ← Previous Story VIDEO: Danish gold in 60 seconds! Next Story → Vincent Gerard about 10 matches in 17 days: We must stop this circus!